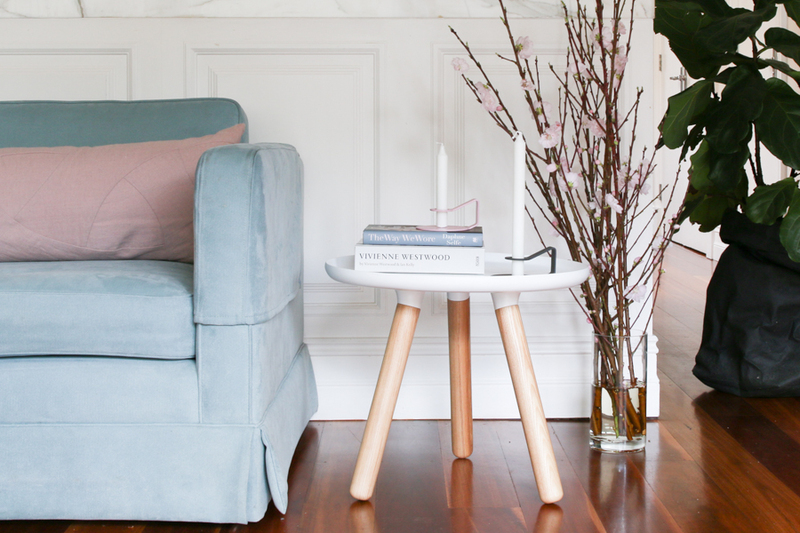 Australia is having an all in love affair with all things Scandinavian. 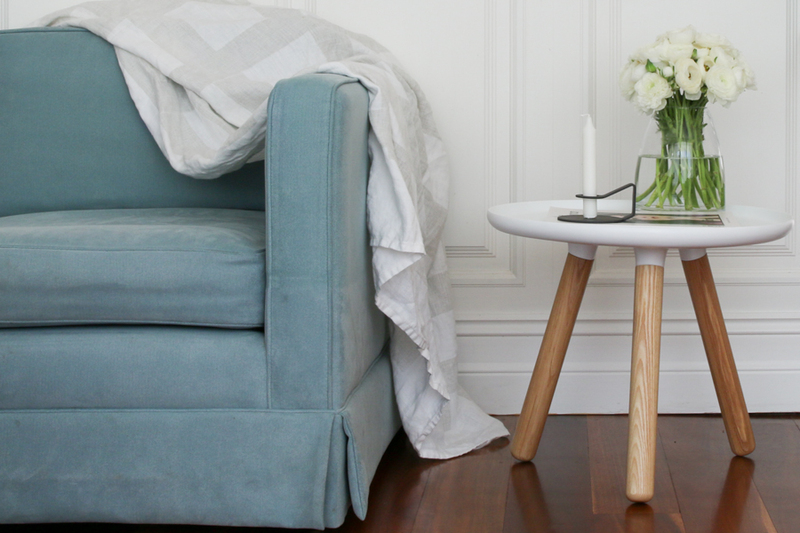 With clean lines, simple, functional pieces and beautiful, original design, what’s not to love? Nothing! Which is why we are seeing a lot of it. So, how to make it your own? 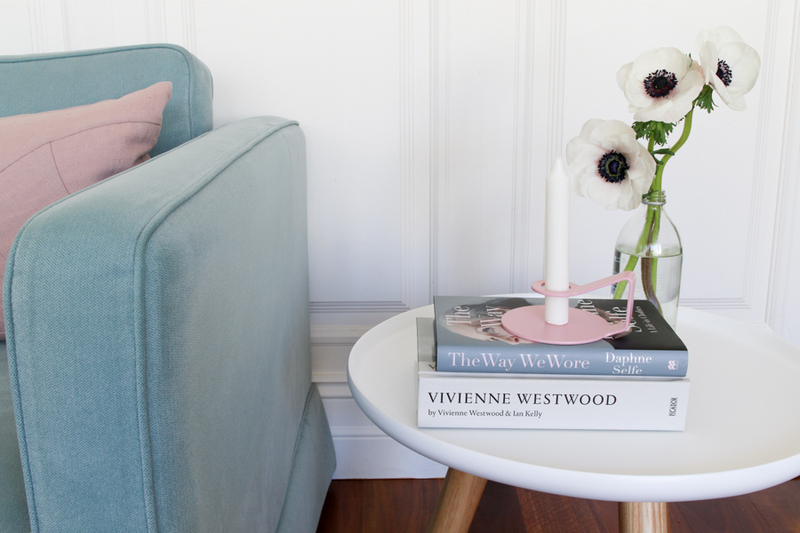 I tend to style my interiors in the same manner as I pick out an outfit; utilising classic, trend-resistant investment pieces season after season and working in accessories that lean towards the current mode. Most importantly, I try to create an ensemble that resonates with my style & personality and makes the most of what I have to work with – be that the width of my hips or the length of my living room. 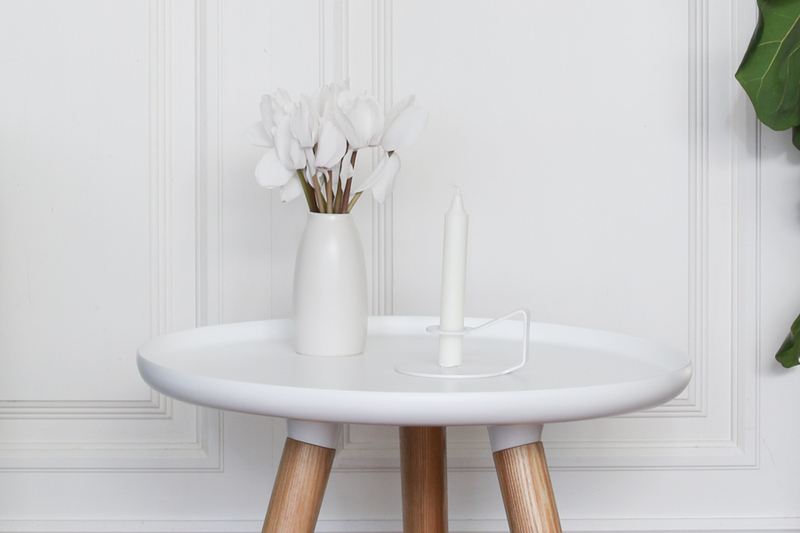 I am loving the minimalistic Tablo table (small) with contrasting ash legs (1649DKK, approx AU$350). It is light yet sturdy and, just like an investment piece in your wardrobe, won’t date. Think of the Tablo as a crisp white shirt for your interiors wardrobe; just add accessories for your unique take on Scandi style. The small Tablo (shown here) is just the right size for an occasional or bedside table; add the large Tablo table to create a nesting duo for a versatile coffee table solution (definitely on my post-renovation wish list!) Once you have your statement piece, your accessories don’t need to be expensive, just choose pieces you love. 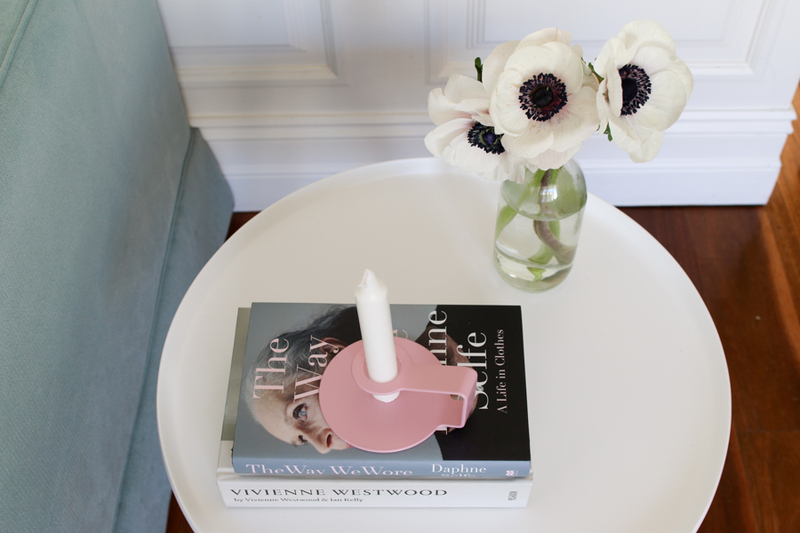 Market blooms, your current reading list and candles can be mixed and matched to suit the season and your mood. 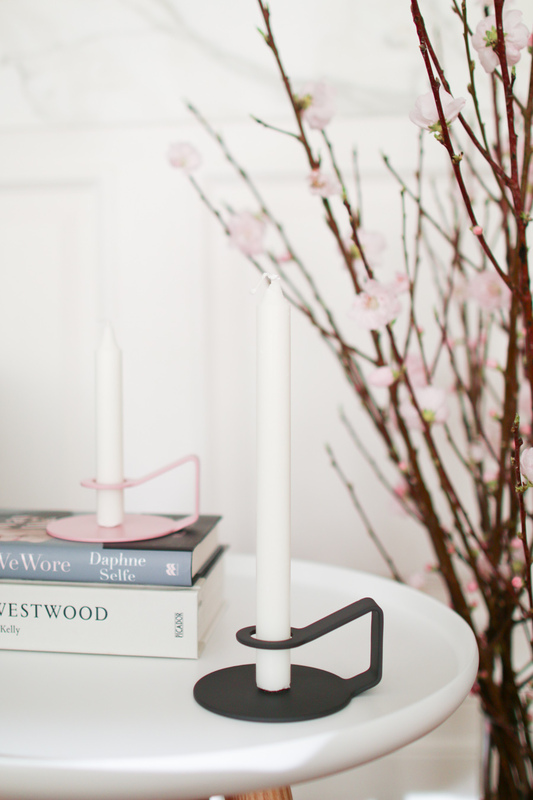 These Nocto candlesticks come in various colours – I’m sure it comes as no surprise to my regular readers that I choose black, white and rose (149DKK, approx AU$32 each). I love how they play on the original function of a candlestick, with a neat handle making it easy to switch them around. And just like your classic white shirt, the Tablo also looks good with heels! Catherine, this Tablo table creates a cosy yet minimalist Nordic feel that can be just a simple decorative accessory or something useful at the same time….I find it very interesting. We are glad to revisit your blog after your post on Felt Ball Rug last year…. Since then we worked hard for a rebranding. Would love to have your opinion on our new site: http://www.sukhirugs.com/ . Happy Holidays! Always love reading your articles and also the detailed description of how you’ve styled your home decoration. 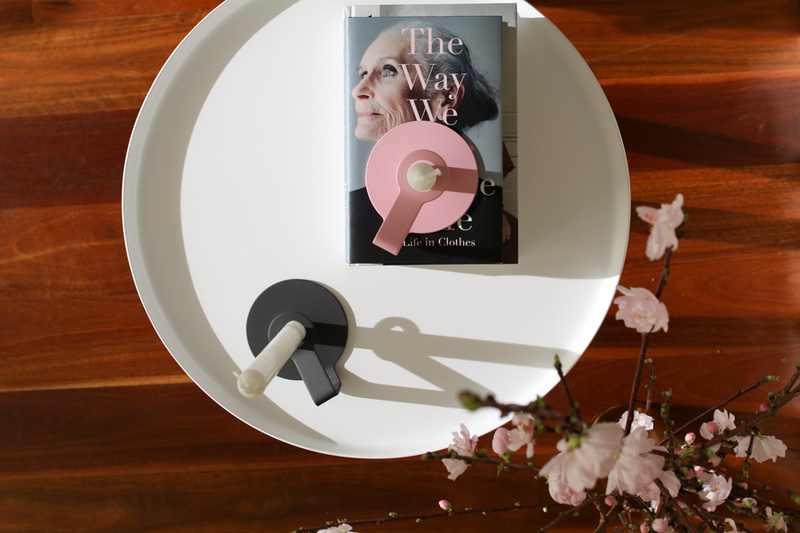 The colors black, white and pink that you’ve chosen and the accessories you’ve used for your decor is very inspiring. Thank you and will be revising you again in future. If you ever need any of our rugs for your future home decor ideas, please set us know. You can even design your own rug at https://feltballrugusa.com and we can send you a photo sample within couple of hours.